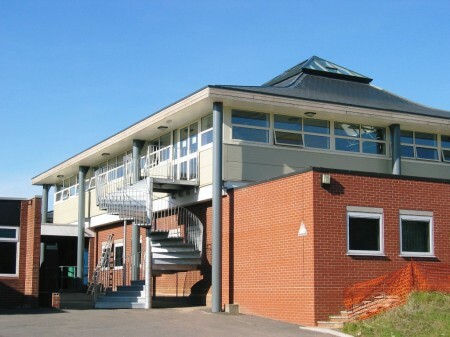 The Blue Coat C of E School Sixth Form Centre at Coventry was enlarged to accommodate increased numbers of students. The brief required some teaching spaces, smaller tutorial areas, office accommodation and a large common room with catering facilities. The design remodels the existing ground floor for the smaller rooms and locates the common room above in a new large column free area. 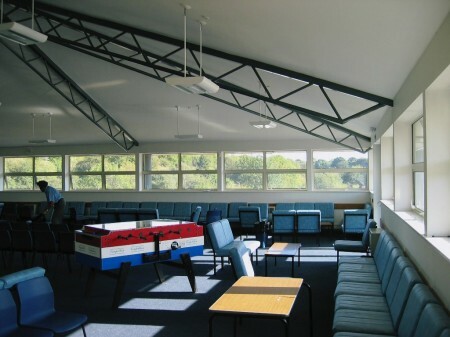 The existing roof to the single storey building was replaced with a reinforced concrete floor resting on the load bearing cross walls. The new roof structure is supported on external circular columns to minimize impact on the existing ground floor structure. The slate roof echoes that of the adjacent library building and the rooflight at the apex allows the sun to lighten the space all day. 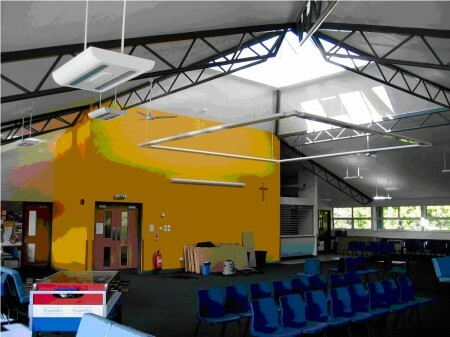 We have also carried out work on Sixth Form Centres at Bablake School and King Henry VIII School, Coventry.